That's the normal consequence if there is such a hype about an item...klon centaur is another example.Prices go up fakes pop off.Also the bixonic expandora goes for sale today for twice that much as 5 years ago. I'll see if I have any time over the weekend to pull one of the pickups and see what's on there. I'm not aware of any three hole bobbin examples, thus my comment earlier stating that would be a 'red flag' IMO. Having three hole bobbin examples present would not be out of the realm of possibility but from my limited experience it would be very uncommon, as I have seen none, to date. The six digit stamp on the base reads 211127. The commonly held belief in this 'code' would result in these being possibly the latest set I have seen 1 = 1981, 11 = November, 27 = 27th day. So, if these were produced/stamped on November 27, 1981, I assume there may be a possibility of a transition period AFA the bobbins used at that time. Just a thought but also just a guess. So, if I understand correctly, the set of dry-z's in the post 2 with 3 holes, was not the first one that we ever saw? Dry-Z are rare, and even rarer without covers, and among them 2 sets with 3 holes. This is no longer an exception. "Guitar hiro", your transition theory towards the end of 1981 seems to be right. We are waiting for photos of Dry-Z's "BigTone" for confirmation. No more comments on this other than buyers need to do some research on Maxon and Fujigen pickups and available information from Jun Takano, the guy who designed the DRY-Z for Maxon. If the 3-hole bobbin pickups sound good to you, that is all that matters. We know that Jun Takano worked on Dry-Z's with Toshihide Ushimaru, who worked for Fujigen, and that towards the end of 1981 at the beginning of 1982, (it's not very clear ...) Fujigen begins to make his own pickups, with Toshihide Ushimaru as "Pickup Menager"
This is why it's important to have more information on this second set of Dry-Z'S with 3 holes. "BigTone" some pictures of your Dry-Z's? well, my theory is based on a 'hunch' & an assumption so, I wouldn't put a lot of weight into my theory. I'm confident that Harold knows more about these pickups than most any member here. As Harold has stated, "caveat emptor." did some diggin' 'round and found this. Go to the 1:04 mark & check the Z stamps on the pickup bases. I think this is from a member here, or from another forum that went by the member name whiteknight aka Ed, if I recall correctly. I'll see if I can remember to have a go pulling a pickup tonight. It's the beginning of 1982, the period of transition is confirmed. Guitar Hiro's theory of the transition period is confirmed as well. The Dry-Z's that we saw in this topic for me are legitimate. BigTone, thanks for pictures and enjoy your original Dry-Z's. It does seem a plausible explanation. 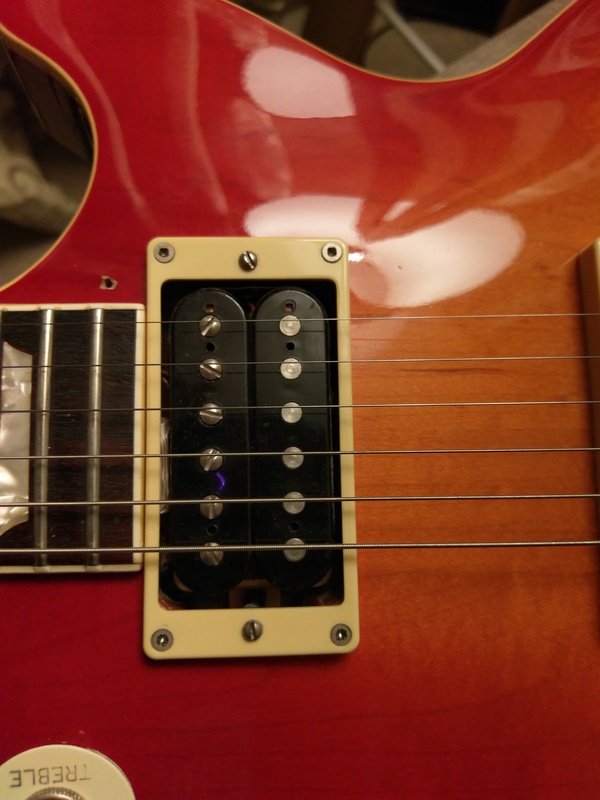 I did come across another picture of a set of pickups with three holes that claimed to be Dry Zs whilst searching google images. Had to go through a lot of pictures to find it and there was no real information when I went to the actual site so take of that what you will. Haven't been able to find them since. Someone said that if they sound good to me then that's all that matters, and to a large extent that is true. 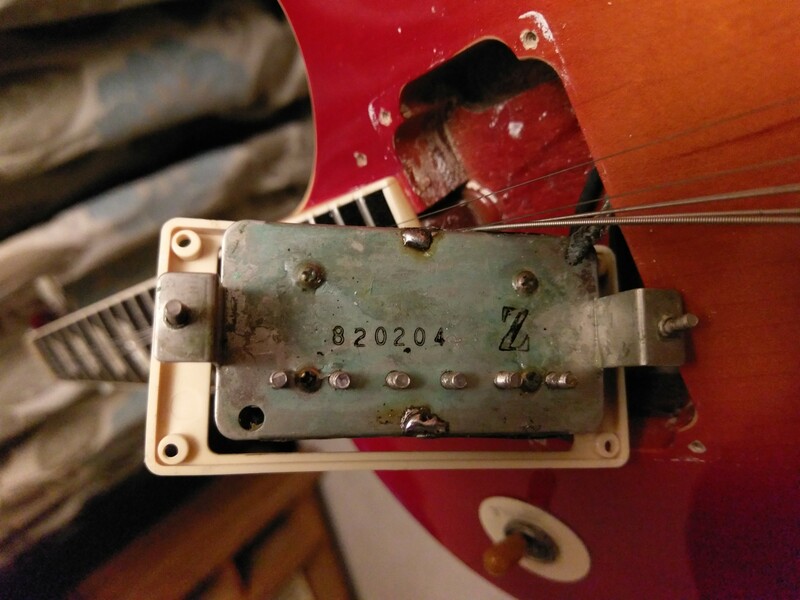 Though even 10 years ago these were not cheap pickups by any extent and that was entirely down to the claim of them being Dry Zs, so I do have quite an interest on whether I can legitimately claim these to be Dry Zs still. ...Though I can't see myself selling them anytime soon. If I ever sell the guitar they're in I'll take them out and put the originals back.